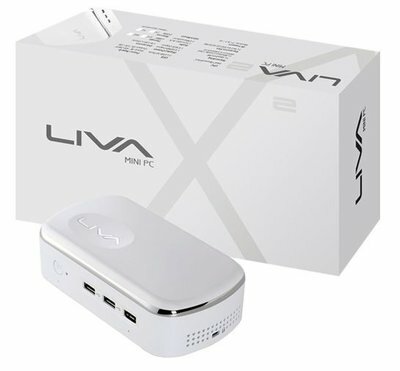 LIVA-X2 - MiniDis - Europe's best mini PC source! 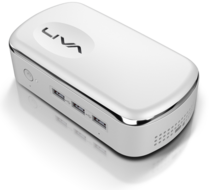 The LIVA X2 is the followup of the very populair LIVA X. 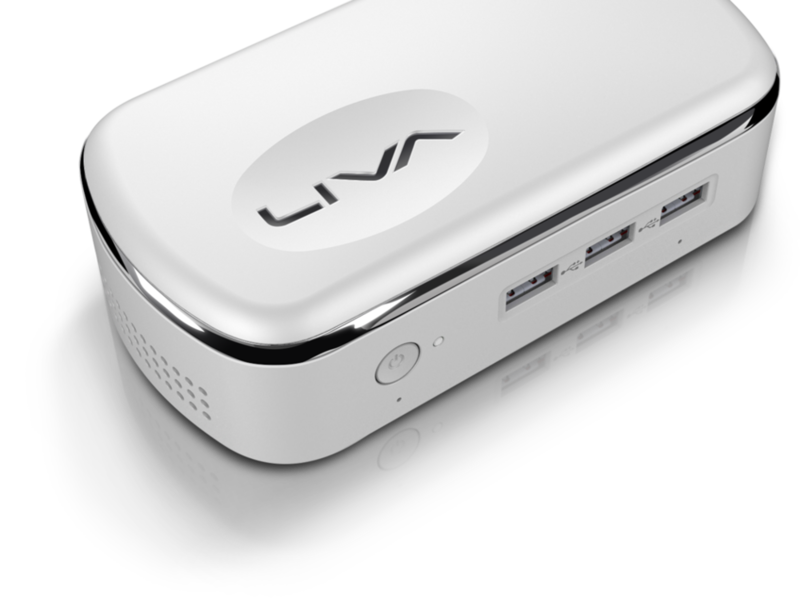 The LIVA X2 is an piece of art which changes the definition of the PC itselves. 17Watt Electrical power (full load). 3,75Watt Idle. 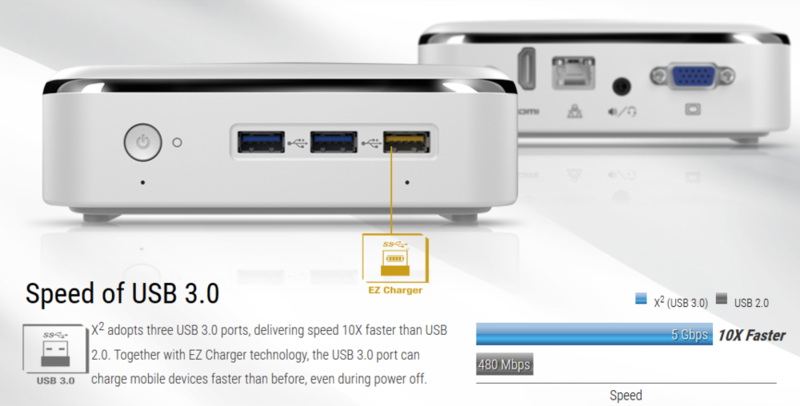 3x USB 3.0 ports (max 5Gp/s). 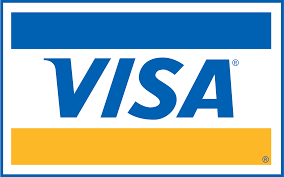 (1 EZ Charger (hi power) USB port, also enabled when powered off.